It looks like i can find cute baby boys clothes, both used (usually vintage) and new. 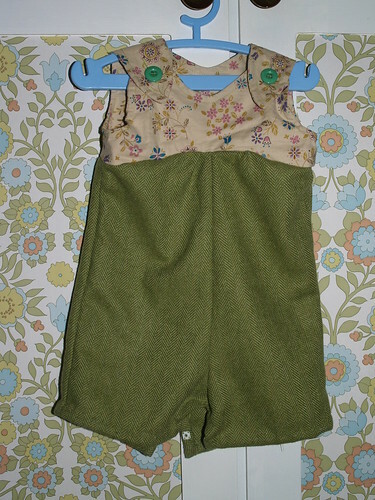 But of course, i still am committed to making some great outfits like this one, my second from Oliver +S's playsuit. This one is size 3-6 months. Baby C work it for my sister's wedding this past September. I'm starting a Flickr set dedicated to this, as i want to showcase the goods i've found with y'all! i just love that wallpaper! cute!